Optoma delivers engaging visual and audio experiences for a connected world. 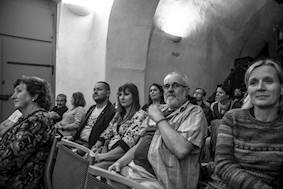 Hundreds of people attended the Noir Film Festival including film enthusiasts and local supporters. Everyone thoroughly enjoyed watching some of the greatest films of all time, fully complimented by the Optoma ZU850 laser projector. 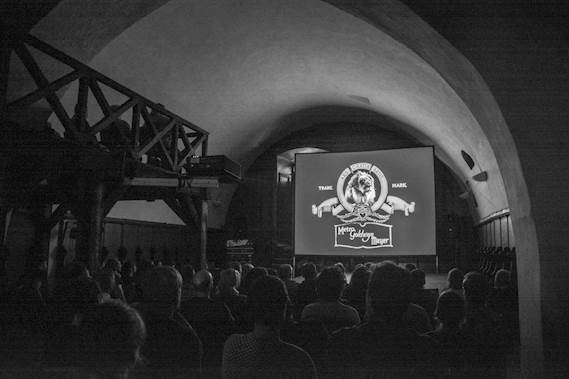 Challenge: The Noir Film Festival, which takes place at Křivoklát Castle in the Czech Republic needed a projector to display the most spectacular old and new films. Reliability, connectivity and performance were key factors to impress a large audience over four days. Solution: The Noir Film Festival selected the Optoma ZU850 laser projector which combines superior colour, exceptional brightness consistency and high reliability due to its 20,000 hours maintenance-free laser light source and MultiColor Laser (MCL) technology. Results: Hundreds of people attended the Noir Film Festival including film enthusiasts and local supporters. Everyone thoroughly enjoyed watching some of the greatest films of all time, fully complimented by the Optoma ZU850 WUXGA laser projector. Hundreds of people were to arrive at the four-day Noir Film Festival in the Czech Republic and expectations were high for an impressive display of some of the most famous films. The films were being displayed within a castle and it was a high priority that the projector was bright enough to display excellent quality images. 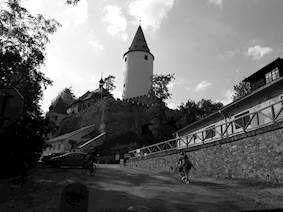 The four-day Noir Film Festival ran from the 23rd-26th August 2018 where visitors attending the Křivoklát Castle in the Czech Republic could enjoy more than forty screenings of classic Hollywood movies from the 1940s, 50s and 60s. The Nordic Noir programme offered a gloomy atmosphere where the visitors could enjoy older Czechoslovak films with noir aspects. The Optoma ZU850 was selected as the best solution for the Noir Festival with its innovative MultiColor Laser (MCL) technology. The model delivers ultimate colour performance whilst the DuraCore laser light source maintains exceptional brightness consistency which is exactly what was required. Featuring 20,000 hours maintenance-free laser light source at full brightness, advanced laser diode cooling techniques and an innovative dust resistant design, this model fit the specifications required for the event. The Noir Film Festival required a reliable projector which picked up on the smallest of details. The ZU850's WUXGA (1920 x 1200) resolution offers 15% more pixels than 1080p. This enables unscaled Full HD video and extra detail for crystal clear projected images. To accompany the ZU850, The Noir Film Festival also used a sound mixer from Soundcraft, a Dolby processor and an RCA Amplifier with passive speakers to ensure the entire experience from visionary to sound was perfectly executed. Visitors were very happy with the festival. Petr Horák the event organiser at iShorts stated: “We are thrilled by the festival and by the great venue.” The powerful Optoma ZU850 projected numerous films which caught the attention and hearts of everyone in the crowds which made the four days very special to all. -Optoma ZU850 laser projector -Soundcraft sound mixer -Dolby processor -RCA Amplifier and passive speakers.